The lush Alpine settings, unspoilt nature and Swiss peacefulness combined with world-renowned events, an elegant lifestyle and unlimited sports possibilities make St. Moritz and the Engadin one of the most beautiful and inspiring valleys in Switzerland. Especially in summer, it is an ideal escape for guests who want to swap hot and humid summer temperatures for breathtaking vistas with a light breeze of the famous Maloja wind. The Maloja wind, the sun, and a crystal-clear mountain lake make the perfect combination for an exclusive sailing adventure – one of six exciting outdoor adventures which guests can enjoy as a complimentary add-on during their stay this summer. The sailing turn with expert instructions from a skipper takes guests through the glittering water on Lake St. Moritz every Friday. 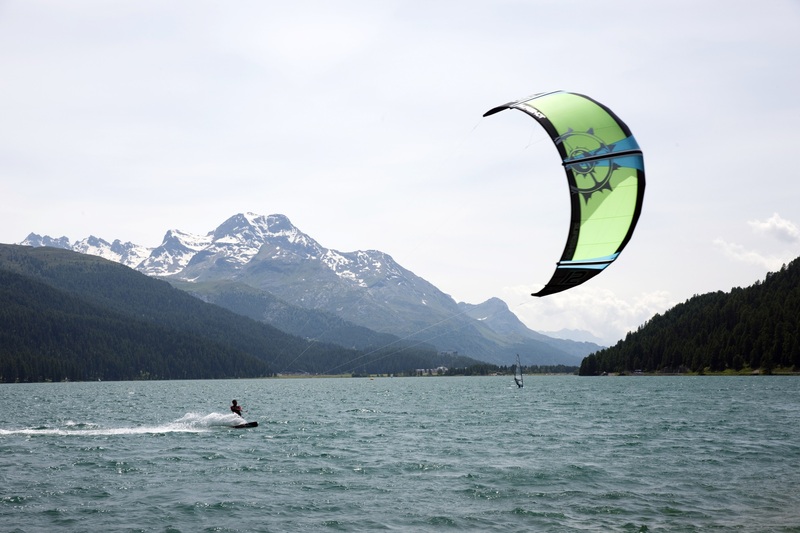 The lake is set at an elevation of 1,822 m above sea level, and next to the spectacular mountain panorama, it offers perfect wind conditions and wind speeds ranging from three to six Beaufort. Nestled in the sporty heart of the chic Alps resort and only a few steps away from the cable car, the five-star superior hotel is the ideal hub to discover the inspiring Engadin landscape while escaping in style. The hotel`s “Discover the Engadin” programme is comprised of complimentary outdoor activities suitable for families and thrill seekers alike: E-bike tours along the mountain lakes, goat trekking with the guide “Heidi” and her five goats, climbing and abseiling with views to the Morteratsch Glacier or mountain biking with a focus on technique and riding down trails. An additional experience for adrenalin seekers is the glider flight experience, where a rapid winch pulls the glider into the air up to 500 m. Guests fly almost weightlessly over the famous mountain of Muottas Muragl and enjoy a magnificent bird`s-eye view of the Swiss Alps from above.